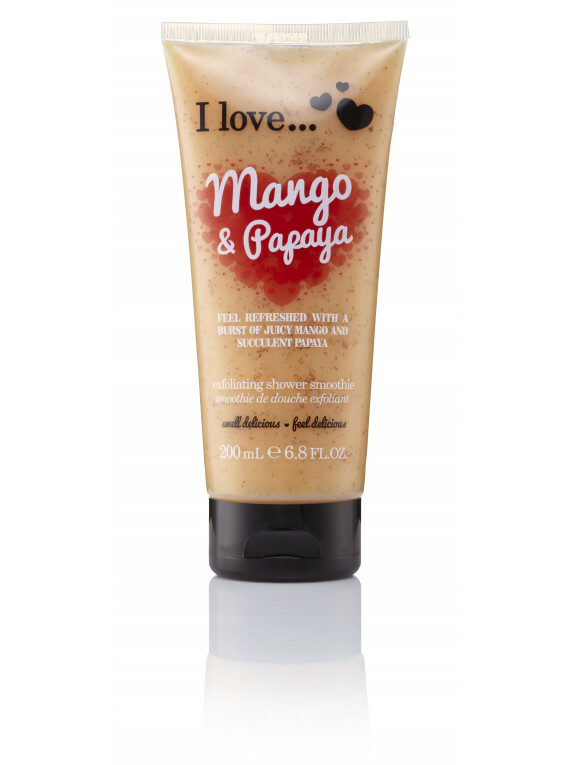 I love…'s exfoliating shower smoothies are the perfect products to leave your skin feeling cleansed, exfoliated & silky soft. Enriched with natural almond shell this shower treat cleanses and exfoliates the skin to remove impurities and dead cells. Skin is left soft, smooth and delicately scented with the fresh and delicate fragrance of fruits. 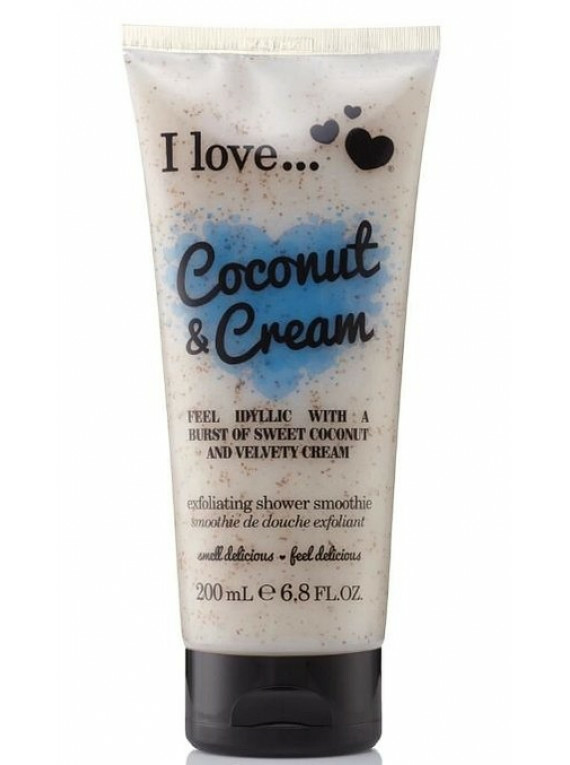 I love…’s Strawberries & Cream scent is a classic combination of rich, indulgent & delicious flavours. Feel scrumptious with fresh strawberries & smooth yummy cream leaving your skin smelling delicious. This fruity flavour is a fan favourite. Sodium Laureth Sulfate, Acrylates/Palmeth-25 Acrylate Copolymer, Glycerin, Cocamide DEA, Cocamidopropyl Betaine, Glycol Stearate, Sodium Hydroxide, PEG-7 Glyceryl Cocoate, Styrene/Acrylates Copolymer, Benzophenone-4, Disodium EDTA, Benzyl Benzoate, Benzyl Alcohol, Sodium Lauryl Sulfate, Magnesium Nitrate, Methylchloroisothiazolinone, Magnesium Chloride, Methylisothiazolinone, CI 17200.